UFC Minute host Lisa Foiles previews some Fight of the Night contenders at Fight Night Oklahoma City. Watch all the face offs from Thursday's UFC 199 Media Day face offs including staredowns between Max Holloway-Ricardo Lamas, Dan Henderson-Hector Lombard, Dustin Poirier-Bobby Green, Brian Ortega-Clay Guida, and more. Saturday's UFC 199 is a stacked card. While there's plenty of attention at the top of the card, there's lots of intrigue throughout. We take a look at a few fights flying under-the-radar including Penne-Andrade, Ortega-Guida, Poirier-Green and more. Before Diego Sanchez fought for the title against BJ Penn at UFC 107, Sanchez earned his fourth consecutive win when he defeated Clay Guida by decision in June of 2009. Don't miss Sanchez in the UFC FIGHT PASS headline event at UFC 196 on Mar. 5. UFC Minute host Lisa Foiles gives you the latest on the newest additions to Elevation Fight Team as recent recruit T.J. Dillashaw will be joined by Matt Brown and Clay Guida. Featherweight contenders Chad "Money" Mendes and Clay "The Carpenter" Guida faceoff in an exciting three round fight at UFC 164. 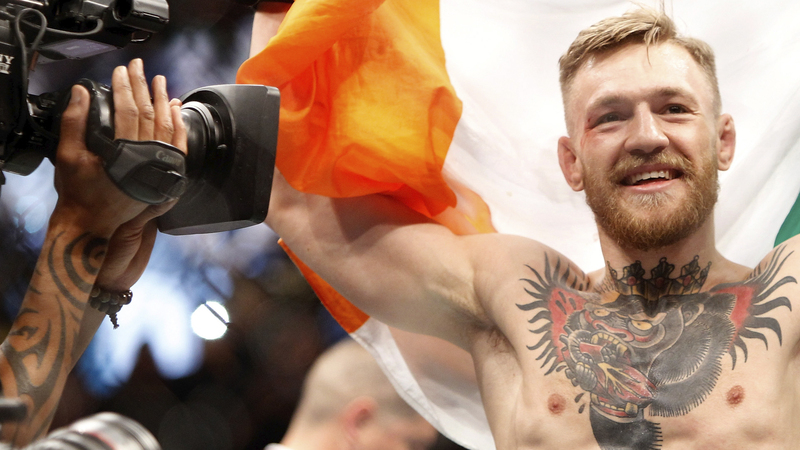 Mendes will fight Irish superstar Conor McGregor for the interim featherweight title at UFC 189 in Las Vegas, Nevada. Two more fights are added to the exciting card in Fairfax, including the return of Clay Guida, and two heavyweight prospects square off in Dallas at UFC 185. On a six-fight winning streak, Dennis "The Menace" Bermudez gets the back of Clay Guida, sinks in a rear naked choke and earns himself a submission victory. Bermudez battles former title challenger Ricardo Lamas at UFC 180 in Mexico City, Mexico. Chad Mendes had to commit to growth as a mixed martial artist after a disappointing loss to Jose Aldo back in 2012. The Team Alpha Male product learned from his only career loss and is ready for Aldo-Mendes II at UFC 179. Looking to keep his winning streak alive, no. 1 featherweight contender Chad "Money" Mendes takes on UFC vet Clay "The Carpenter" Guida. Watch Mendes fight for the belt against reigning champ Jose Aldo at UFC 179 in Rio de Janeiro, Brazil. Before the UFC touches down July 26th in San Jose for a thrilling night of fights, UFC Road to the Octagon: Lawler vs Brown, brings you inside the lives and training camps of the six elite mixed martial artists atop a stellar UFC Fight Night on FOX card.